Dr Graham Forward has been the driving force behind Australian Doctors for Africa since the first official medical team arrived in Somalia in February 2005. Bringing a wealth and mix of business and medical acumen to the organisation, Graham’s standing within the orthopaedic community both in Western Australia, Australia and internationally has enabled the growth of medical missions and capacity building projects to continue to increase. 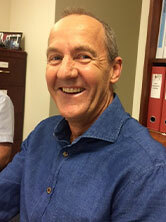 Since completing medical training at The University of Western Australia and subsequent postgraduate training in Orthopaedics, Graham has worked as an Orthopaedic Surgeon in Western Australia in both the private and public sectors, including indigenous communities in Broome, Derby and Christmas Island. Graham has numerous recognition awards for his humanitarian endeavours and has held various medical positions within the Australian Orthopaedic Association (WA). John is a founding Director of Primewest, a national property investment business, and has been instrumental in its growth and development over the last twenty years. His background spans law, investment banking as well as property investment and development. He holds board and equity positions in a range of companies in diverse sectors including Lexus of Perth, Energy-Tec and Core Vision. He holds degrees in Law and Commerce from The University of Western Australia and is a Corporate Member of the Property Council. He is Chairman of The Fathering Project, a not-for-profit organisation focusing on the importance of a father figure in children’s lives, and he is also a board member of the Art Gallery of Western Australia Foundation. John has been a passionate supporter of ADFA since visiting Ethiopia with Graham Forward and witnessing first hand the tremendous impact ADFA has on the lives of local people. John has been Chair of the Board since February 2016. Since 1993 Christine has held the position of Practice Manager and Personal Assistant to Dr Graham Forward, founder of ADFA. Christine is an inaugural member of the Board of Management and managed the administration of ADFA on a voluntary basis for 9 years leading up to ADFA’s first employee. Christine’s nursing background, combined with her exceptional administrative and management skills makes her well qualified in her role as Trip Coordinator for overseas medical volunteer teams, Operations Manager and Financial Controller. She upholds the governance and compliance required for the running of ADFA due to her involvement in the accreditation processes ADFA has undertaken with DFAT, ACFID and overseas country partners. She remains proactive in her involvement in fundraising and function management. 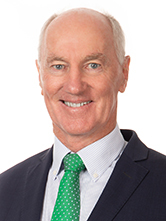 Ian has an Honours degree in Economics from London University and has had a distinguished career in Business and Education at universities, high schools and senior colleges including Curtin University and The University of Western Australia. Ian brings a varied and accomplished business background with over 20 years’ experience as Executive Director of a successful building company. 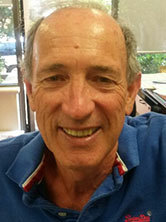 Ian joined ADFA in 2009 and was invited to join the Board in 2011. He has been assisting ADFA in financial management and in achieving and maintaining DGR status and DFAT accreditation. He is looking forward to the challenges of sustaining ADFA’s unique position as a high quality charity and its wonderful record of assisting people in Africa. 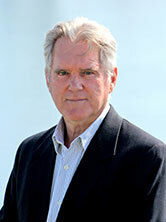 Graeme brings to the board a wealth of experience in shipping, transport and logistics. Graeme was a director of a renowned WA shipping company and brings a broad spectrum of experience having been involved in all facets of the logistic chain from operations, sales and management. Graeme is the Chair of the WA Port Operations Task Force, a 30-year industry group who work towards improving the logistic chain through the port of Fremantle and hinterland. Graeme has held a number of positions and until recently was a member of the Freight and Logistics Council of WA. Currently Graeme is working with the Westport Taskforce being the state government initiative looking at the developments in the outer harbour and Fremantle. Graeme joined the ADFA Board in January 2014. From 2008 Graeme has been involved with voluntary coordination of the shipping and logistics of the ADFA medical equipment to Somaliland, Ethiopia, Comoros and Madagascar. With his extensive business background and logistics knowledge he is keen to continue and develop the excellent and progressive work ADFA is undertaking for the people in Africa. Dr Kate Stannage is a Paediatric Orthopaedic Surgeon who has been working with Australian Doctors for Africa since 2012. Currently she is Head of Department of Orthopaedic Surgery at the Perth Children’s Hospital and is President of the Australian Paediatric Orthopaedic Society. She sat on the West Australian Government Taskforce examining Sexual Harassment and Bullying in the Medical Workforce and is the West Australian representative on the Australian Orthopaedic Association’s (AOA) Orthopaedic Women’s Link Committee. 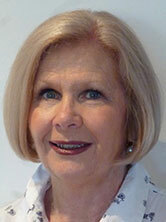 Kate sits on the AOA WA Executive and Regional Training committees. She lectures at both Notre Dame University and The University of Western Australia and conducts research in the field of neuromuscular morphology and function. She has previously spent time volunteering and teaching in the Solomon Islands, and currently teaches with the Pacific Islands Orthopaedic Association. In 2018 Kate was the recipient of the Award for Excellence in Women’s Leadership for Western Australia. 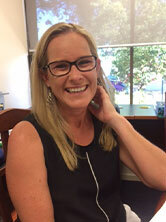 Kate joined the Board of Management in 2016. She has been instrumental in establishing a clubfoot screening and treatment program in Madagascar and Somaliland, and as a member of the Board is responsible for establishing, expanding and maintaining clubfoot programs in all countries in which ADFA is currently active.